Please enter your email address and we'll email you when this product is back in stock. Glass Terrarium with Rope. H-11", Pack of 8 pcs Discounts Apply ! 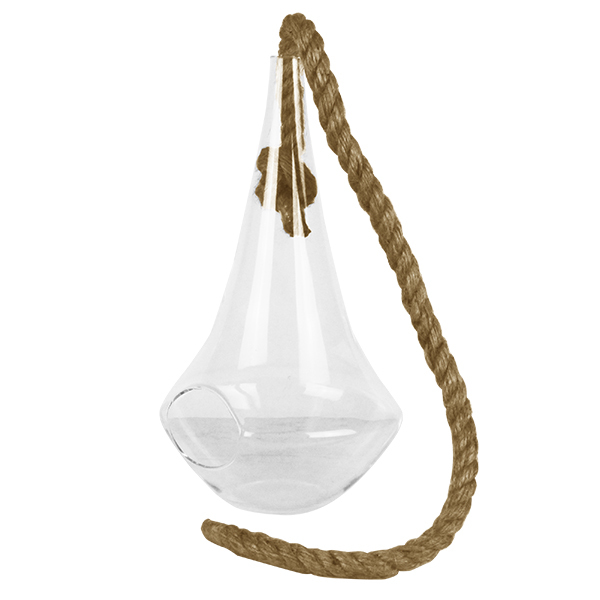 This glass terrarium with rope is perfect to use as air plant, succulent and cactus display container,and it has been widely use to decorate all kind of modern and hip events. It would make your event to a great ambiance. Dimension: H-11", Open D - 2.5" x 2" Body D - 5.75"